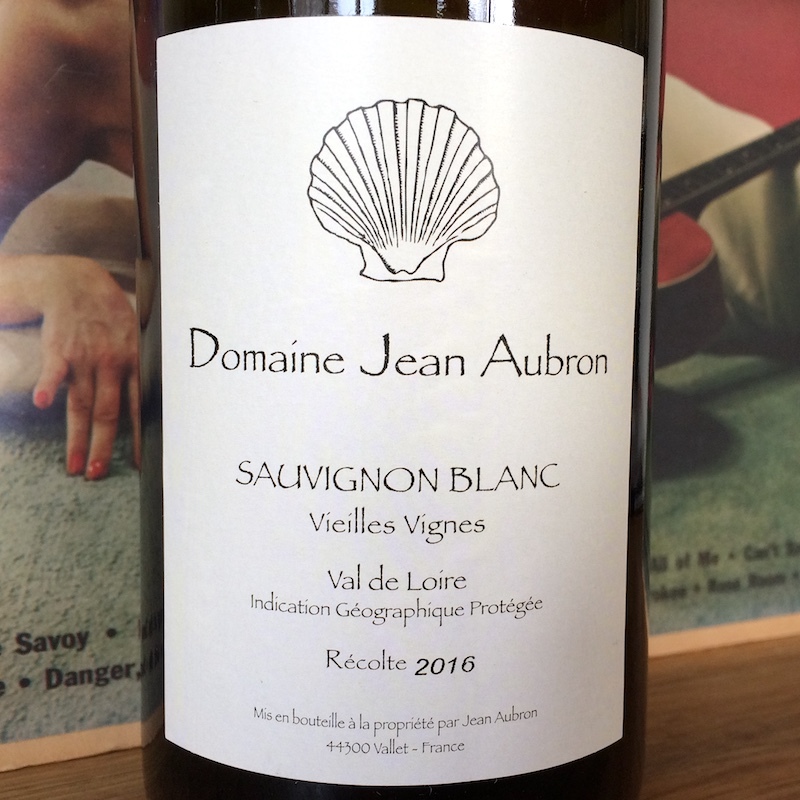 Since 1843, Jean Pascal Aubron’s family has been tending their vineyards around the town of Vallet, outside of Nantes, near the Atlantic Coast. Jean Aubron uses traditional vinification methods, transferring the wines midway through the fermentation process to underground glass-lined tanks, where they finish and sit on their lees for between 6 to 10 months, depending on the year’s quality. The primary focus of winery is Aubron's classic, brisk Muscadet de Sèvre et Maine sur lie from the acclaimed Grand Fief de l’Audigère, a lieux-dit which sits on gabbro (volcanic rock) deposits. He produces smaller amounts of chardonnay and sauvignon blanc, each no less spritely and mineral. A central glowing orb of green citrus fruit fully illuminates this wine's intricate crystalline structure. Do yourself a favor and ask your nearest cheesemonger for her most ripe goat cheese to pair with wine. Patton Valley Vineyard is the project of friends David Chen and Monte Pitt. Located in Gaston, OR in the Ribbon Ridge AVA of the Willamette Valley, they focus almost exclusively on single vineyard pinot noir. 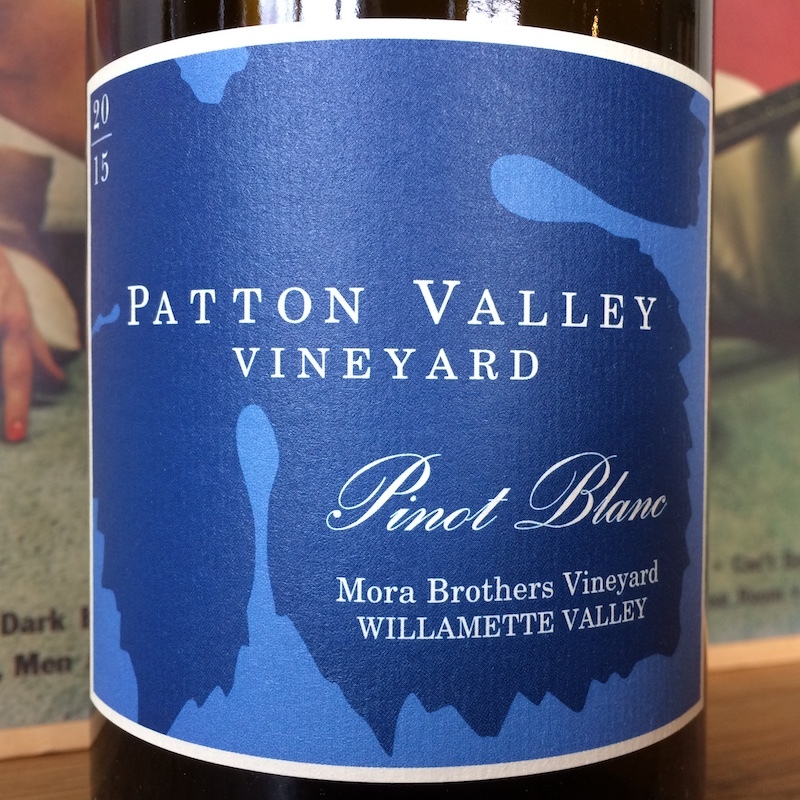 This pinot blanc is the result of fun side project with their vineyard manager Chuy Mora, who grows this fruit just a few towns over in St. Paul. The fruit is slowly fermented and aged in old barrel, and perfectly balances pinot blanc’s natural weight with mouthwatering acidity and mineral cut. This white is super aromatic, with a nose full of orange blossom and clean linen notes, and racy, balanced palate of honey and citrus. It's great on its own, or paired with a smoked trout spread as an aperitif. 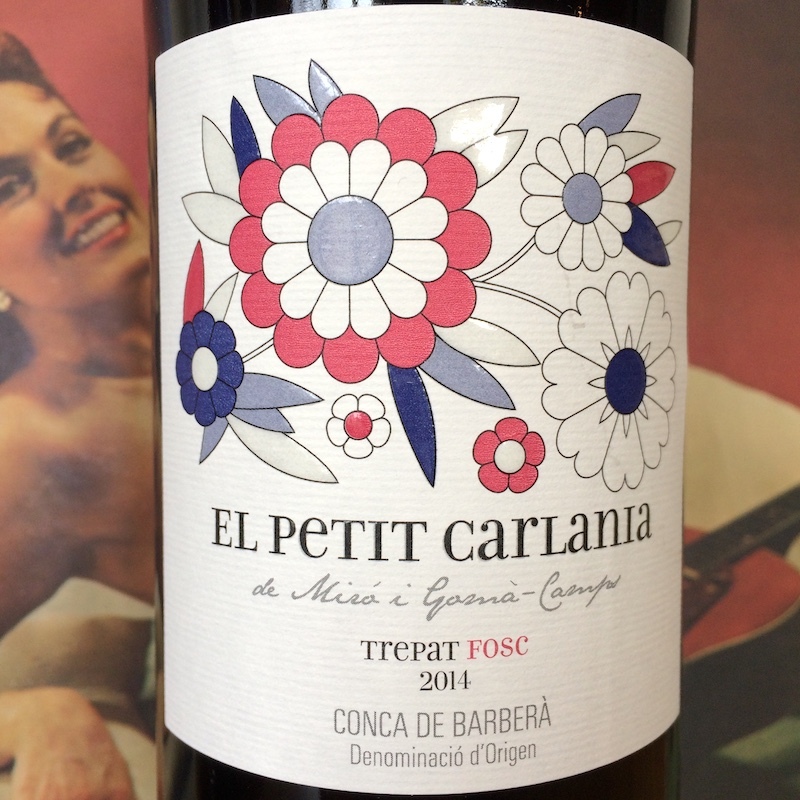 2014 Carlania Celler "El Petit Carlania"
The village Barberà de la Conca sits just an hour inland west from Barcelona, in Spain’s northeastern corner. It is the home and largest production area of the trepat grape, known primarily for making pink Cava. Since 2007, Jordi and Sonia have championed the trepat grape on their 9 hectare estate. They are certified organic and have been practicing biodynamics since their inception. This cuvée is made from 30-40 year old vines, vinified and aged in steel. Bojo-philes, take note: this Spanish red is light, vibrant, racy, and an excellent entry to Spanish wines if you thought they were too heavy for you. Pair with a bright roasted red pepper romesco and manchego or Portuguese piri piri chicken - this red can handle the heat! Cahors is one of the oldest wine regions in France, with vines first planted here by the Romans in 50 BC. It sits just east of Bordeaux along the Lot river, a tributary of the Gironne. The main grape of the region is malbec, whose ample tannins earned the region’s wines the name “black wine” for centuries. 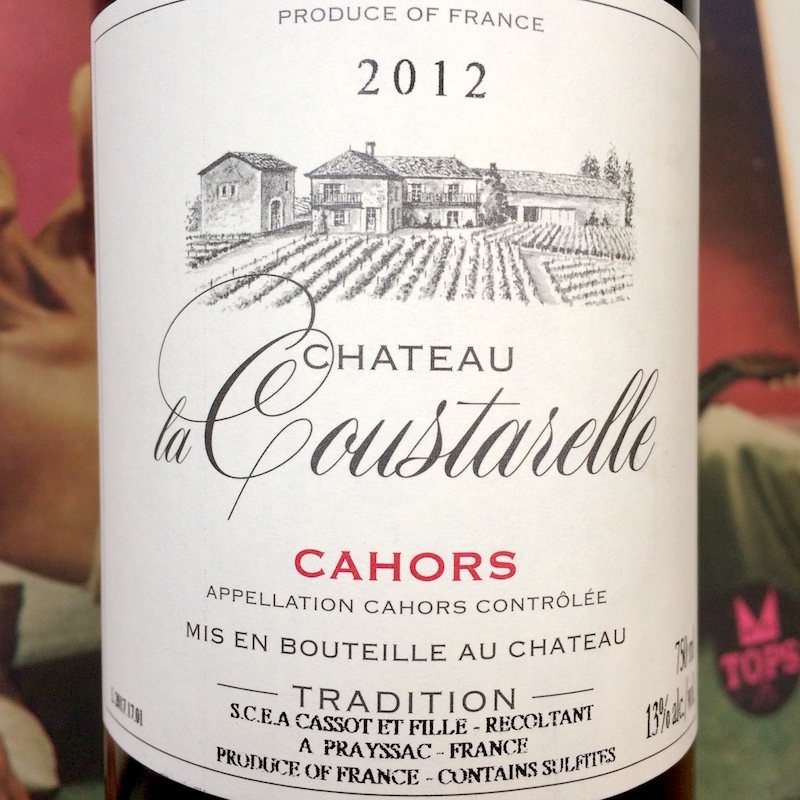 The Cassot family estate is located in the village Preyssac, where they have been growing grapes since the 1870’s, though it wasn’t until 1992 that Michele Cassot left the local coop and began to bottle his wines at the estate. This cuvée is fermented and aged in large oak foudres. With several years of bottle age, it has settled in nicely and would stand up to a slow-cooked pot of beans or braised pork. 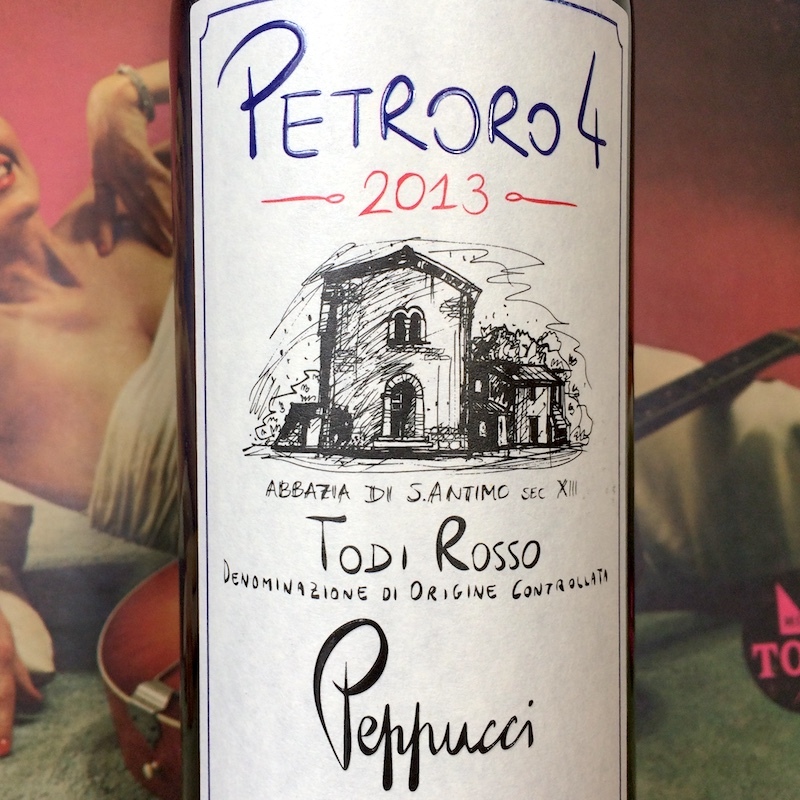 2013 Cantina Peppucci "Petroro 4"
Umbria sits just southeast of Tuscany, landlocked atop the Apennines, the central mountainous spine of Italy. Piero Peppucci and his wife Luisa purchased their property in Todi, in central Umbria, in the 1980's, which included the ruins of a Benedictine monastery built in the 1300’s. They built their estate from scratch among these ruins, beginning with planting vines in 1980 - including the local varieties sangiovese, sagrantino, and grechetto, as well as merlot, cabernet franc, and cabernet sauvignon. Petroro 4 is the flagship red of the estate, made of 60% sangiovese and equal parts of cabernet sauvignon and merlot fermented and aged in stainless steel. Gutsy and rustic, with dark cherry fruit and feathery dry tannins, this hearty table wine is versatile with a variety of dishes, from ragú to roast chicken. 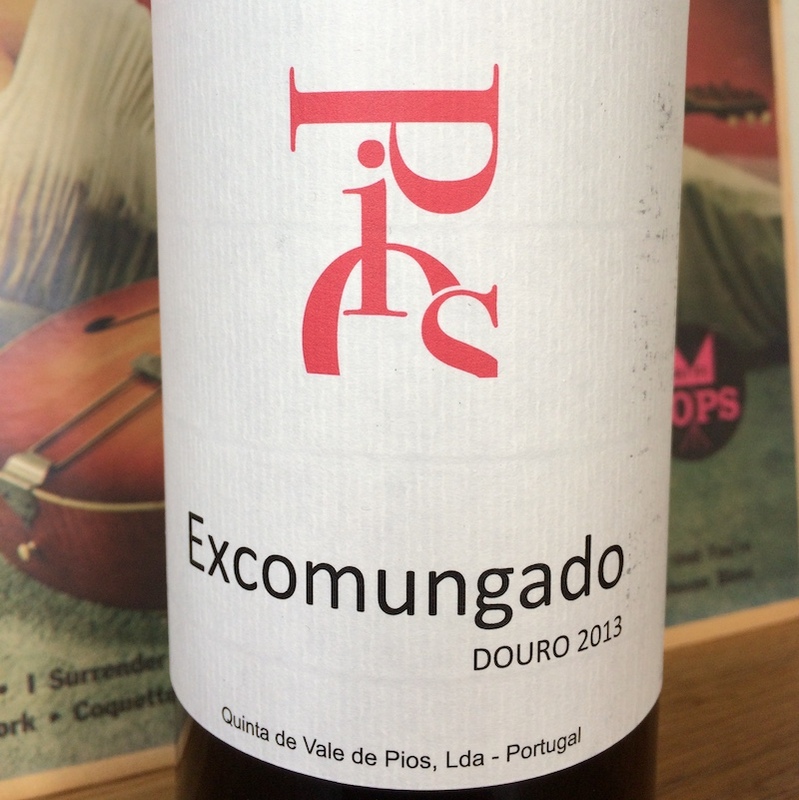 2013 Quinta de Vale de Pios "Excomungado"